Leave it to a little Billy Shakespeare to sum up complex emotions before a surreal competitive event. With me stepping up to the starting gate in about 48 hours to compete in my fourth season of American Ninja Warrior, and in what is expected to be a torrential rainstorm, I feel deeply reflective about this journey. 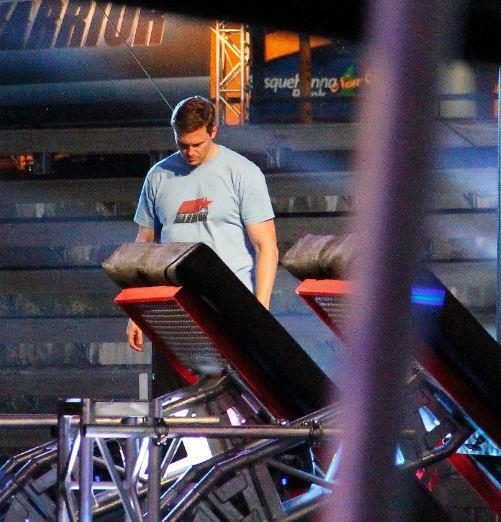 Part of what is fueling this is my pragmatic realization that it could very well be my last crack at the course that I fell in love with as a fan of Ninja Warrior Japan (Sasuke!) many years ago – you never know if the TV show gets renewed or even if you get invited back if it does. Another interesting dynamic for me is that for this season many more people are aware of this facet of my personality and interests than ever before, I had done a pretty good job compartmentalizing this away from other areas of my life, but this season I feel really “out there” in terms of people noticing how I do. Initially I began to feel pressure from this reality, but I reminded myself that it is a situation of my own creation, and an opportunity I actively have sought out, so why complain about it, even just internally through the manifestation of stress around what others might expect of me? My mindset in this last stretch before the competition is to feel profoundly grateful for the opportunity to compete, and for the chance to pursue an odd passion of mine to test myself against wacky obstacles and some truly amazing and diverse athletes. In the end, it is just me and the course in that moment, and the fans, expectations, and other competitors don’t really exist. It is a pure moment, a moment of joy and challenge, and one exclusively mine. One I have paid for with sweat, pain, and inspiration, and one I’m not going to let any external factor pollute my enjoyment of it, no matter how long it lasts. For me that is the mental challenge of this competition, to remember the purity of that attempt, and the initial reasons why I started on this path that placed me at that starting line in Baltimore, standing alone in the dead of the night and the driving rain with the course beckoning me onward.